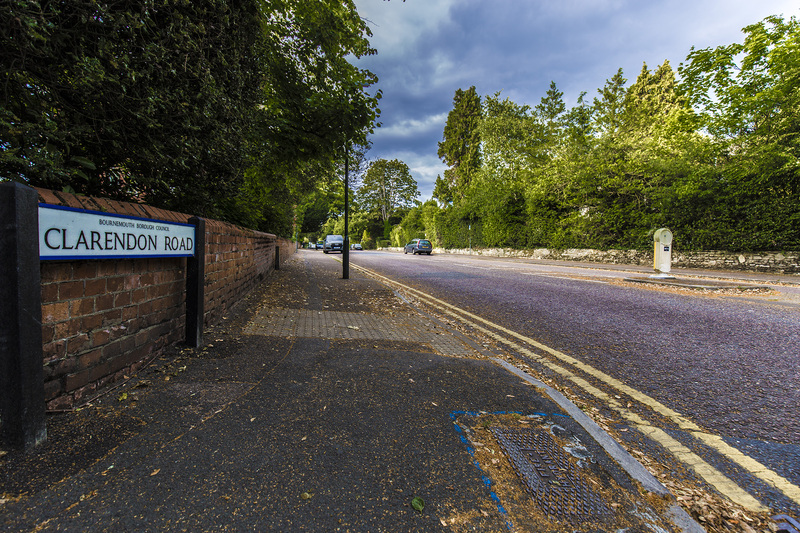 Clarendon Road runs north-south from Poole Road to West Cliff Road, at the top of Middle Chine. It is a generally quiet thoroughfare, wide by many standards. Continue to the north, and you head down towards the former Bournemouth West Railway Station. To the south, and you can either walk down Middle Chine to the beach, or go round onto the West Overcliff Drive to enjoy the sea views.Unlike in the surrounding area, this one retains a high proportion of original Victoria villas. There are, of course, some modern blocks of flats that have replaced the older properties. However, it is easy to get an understanding on how this would have looked a hundred years ago. This thoroughfare slices through the two streets we have looked at over the last few days. Oft lined with parked cars, this is still something of a leafy backwater. The modern blocks peep through the trees that try to hide them, almost as if they are trying to protect the remaining villas. At the junction with Marlborough Road, on the south-west side, the impressive villa “Toorak” holds a commanding view.